Tired of antique malls and consignment shops? Experience a place like no other. Hellebuyck's Trading Post - an antique shop inside a gun shop. Or is it a gun shop inside an antique shop? You be the judge. 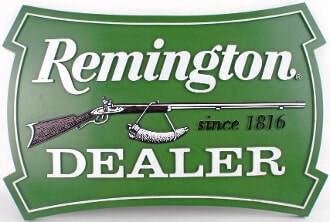 We deal in ﻿quality antiques,﻿ unique vintage items, new and used guns, ammunition, (specializing in hard-to-find calibers), knives, cabin decor, furniture, primitives, advertising, military memorabilia, tools, toys, even animal mounts and hides. A good old-fashioned shop with great prices! No consignments, we own what we sell. Be sure to follow us on Facebook. Looking to sell? We buy guns, ammunition, antiques, even entire estates and can assist with downsizing or estate liquidation. Also visit Dean's Antiques & More - located in the rear of our building. Two shops, one stop! Hellebuyck's Trading Post - "We buy, sell and trade anything that strikes our fancy."